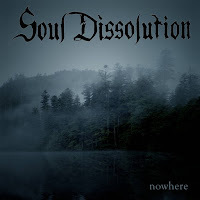 Taking quite a different direction from the style of 'Stardust' and the naked anguish of its earliest releases, Soul Dissolution finds itself tightening up its box step as it marks time on a road to 'nowhere'. A release that so quickly follows the previous full-length that its oblique step seems sudden, this EP, really a long pair of flowing wandering tracks, features many of the expected emotional movements that bring the same styles that permeate Soul Dissolution's soundscape. However, this iteration of Soul Dissolution finds more meaningful spots at which to stop and take in the scenery before moving on through a journey that incorporates melancholic meandering, violent fits, a scale that sounds more indie than it is metallic, and altogether shows Soul Dissolution becoming more of its own band than ever before while stripping itself down to its barest minimum. 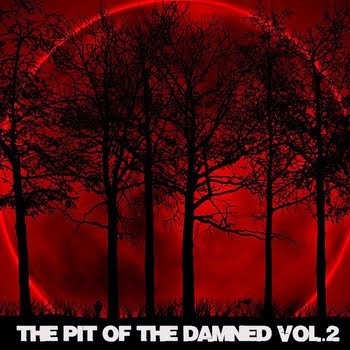 Raw searing guitar wanders in search of direction and an escape from anguish as the “Road to Nowhere” unfolds in front of a lost and alone band that cannot help but gallop down its path when the winds take it. Wailing soloing takes the hand of a riff and throws it into the sky, giving it the spirit of flight as the companions embrace a moonlit sky. This song flies like a depressed ET riding in the basket of an empty bicycle, and in its solemnity still finds a satisfying structural sequence. Venturing from the moonlit fields down abandoned trails to a gallop and tear reminiscent of a sobbing Satyricon, Soul Dissolution searches through fog and untamed growth for what will finally bring it out of this empty embrace of death. 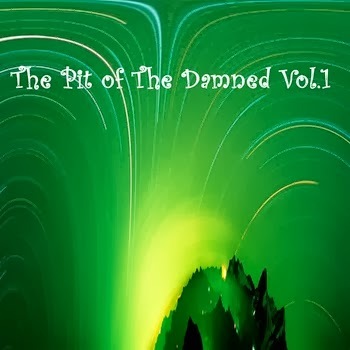 A slight and subtle lead guitar comes, shimmering as it catches the tearful eye, followed by a once forgotten friend as privation passes in glorious warmth as a revelation dawns in the “Fading Darkness”. Where so many parts of Soul Dissolution's style have been preoccupied with stripping songs down and, through dire circumstance, finding nothing but desolation, this “Fading Darkness” could be a turning point on the twosome's trail.